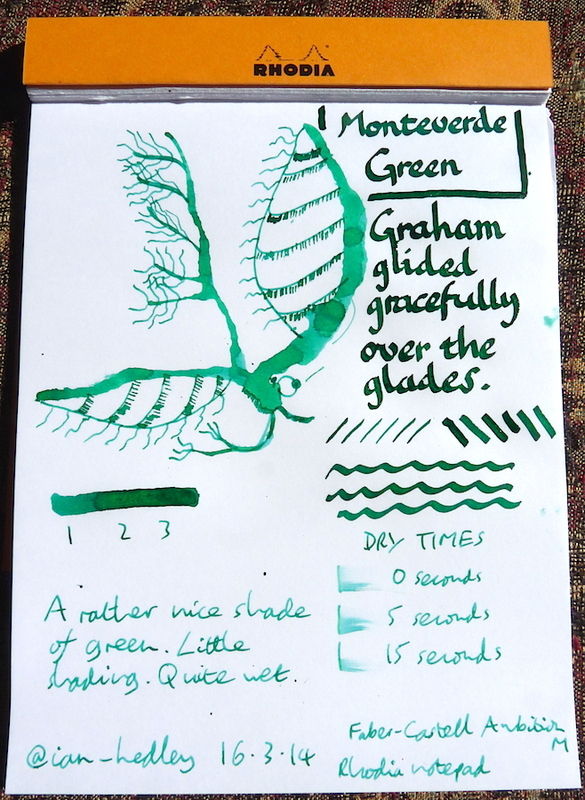 Monteverde Green ink review – Pens! Paper! Pencils! 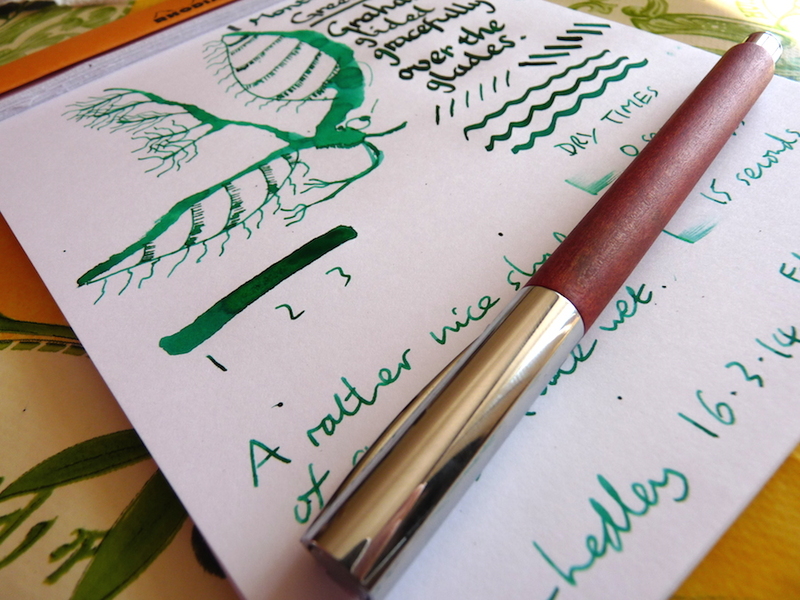 This is a fine green ink. I can’t say it’s spectacular or unusual in any way but it’s an interesting colour and it’s a good reliable ink. Thank you to The Writing Desk for sending me this sample. If you would like to buy this ink direct from The Writing Desk look here. Oooh I particularly like Graham.